The details are sparse, but without a doubt, Facebook is interested in implementing blockchain technology in some regard. According to multiple anonymous sources (because of confidentiality agreements), the company is working on a coin that users of WhatsApp (which Facebook owns) could send to friends and family instantly. A big question for Facebook: how much control will it retain over the cryptocurrency it is creating? For now, it appears FB is trying to make the system decentralized to some degree, creating a coin that could be transferred outside the FB ecosystem. Nevertheless, here’s Ari Paul on how the upcoming Facebook-coin could drive BTC adoption. The past couple of weeks have been filled with news surrounding Coinbase’s controversial acquisition of blockchain analytics company, Neutrino and its ties to Hacking Team which sold surveillance and intrusion tools to international governments with dubious human rights records. Some existing Coinbase users are going as far to #DeleteCoinbase. 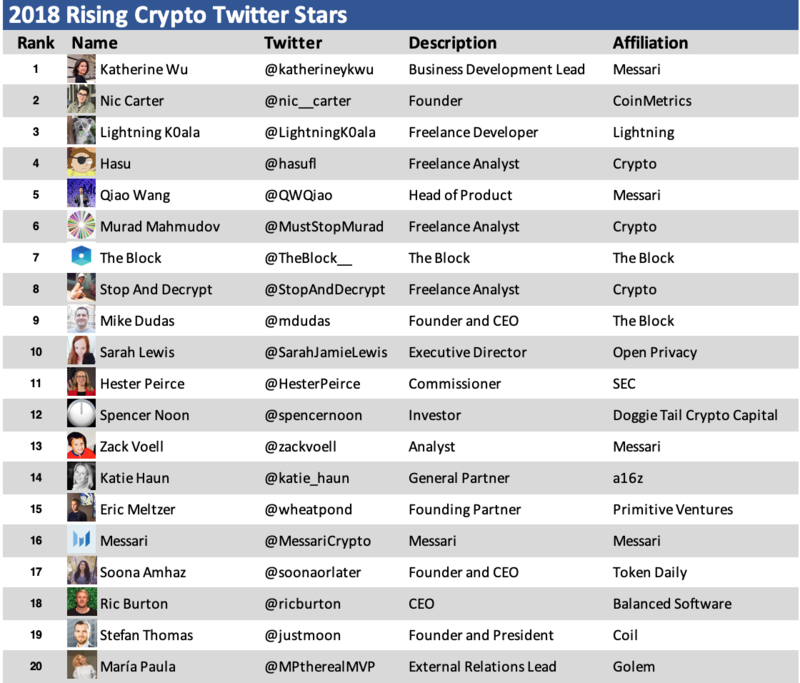 So this week, CEO of Coinbase, Brian Armstrong, took to Medium to explain why Coinbase acquired Neutrino and exactly what they are doing about the former employees. BlockFi Offers Crypto Deposit Account With 6% Interest… What Could Go Wrong? Cryptocurrency lending startup BlockFi has launched a crypto deposit account that provides an annual interest rate of 6 percent, paid on a monthly basis in cryptocurrency. Well, crypto Twitter was quick to respond with why investing with BlockFi might not be the best idea. Here are a couple favorites: Ian Fisch (here), and AlphaZeta (here). A brand-new technology – code named “Halo-Fi” – could kill off your overpriced cable company for good… beaming lightning-fast internet to your home for an estimated $7 a month. Want to stop cutting checks and start cashing them? Just another contrarian hot take from Chris Burniske on how we got it all wrong during 2017’s bull market… and how we’re still getting it wrong throughout today’s bears market. TL;DR – Quit writing off OG altcoins due to their current bear market price levels. 📡 The Messari database got a facelift (new search feature) last week that makes it easier to learn more about the thousands of people, organizations, and prominent projects in today’s cryptosphere. What projects does Vitalk Buterin advise?… What tokens has Blockchain Capital invested in? Start taking advantage of their new search page. 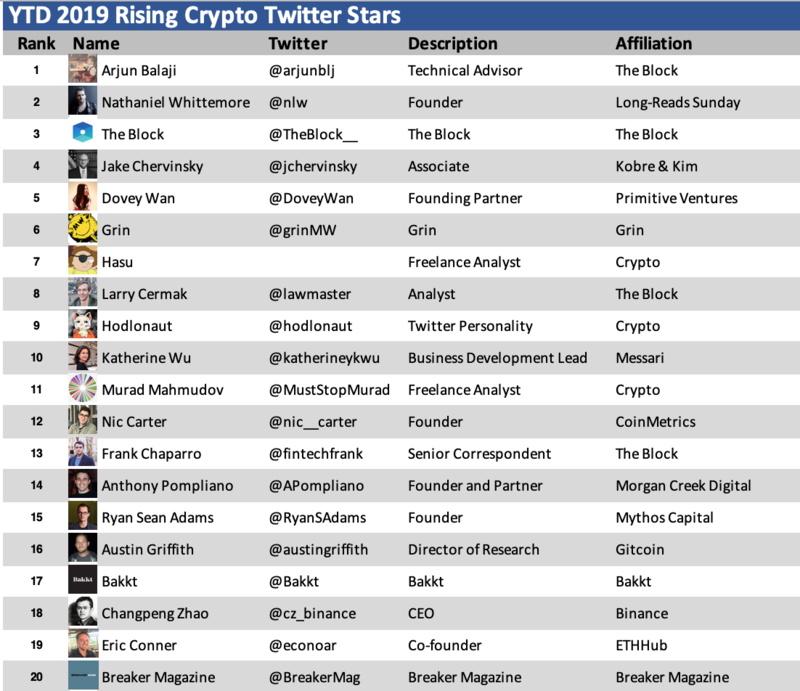 ✊ Second, courtesy of hive.one (previously known as cryptoinfluencers.io), here are the hottest and most trending crypto Twitter stars so far this year and in 2018. Crypto Twitter is filled with a lot of junk these days. Give props to these guys for dispelling all the myths and confusion week-by-week. John Boehner Makes Shocking Marijuana Prediction… What Does it Mean for Investors? At the American Cannabis Summit – the first-ever nationwide event for cannabis investors – former Speaker of the House, John Boehner, revealed why he’s going all-in on marijuana… and laid out a plan for exactly how ordinary Americans can make a fortune from this hundred-billion-dollar industry. 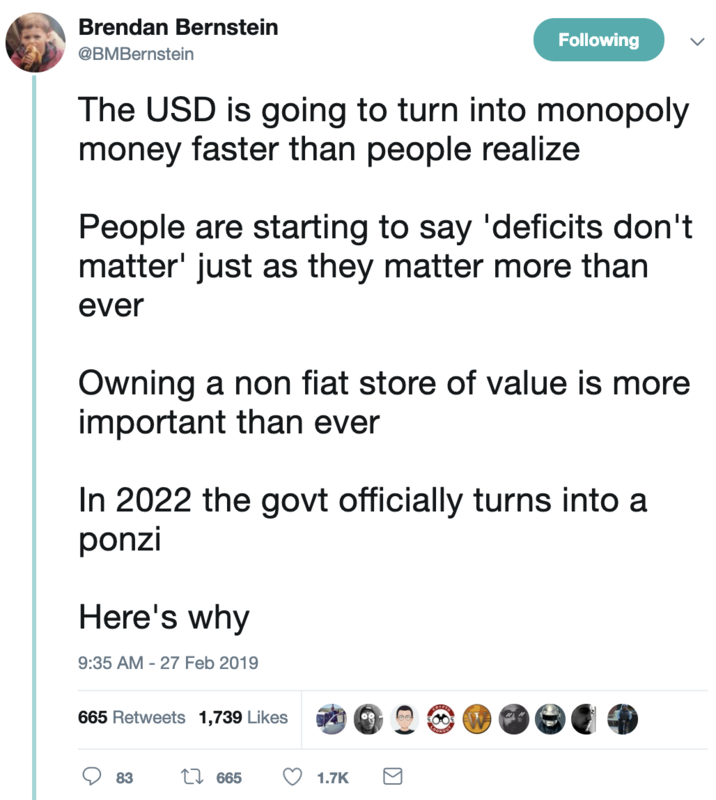 But José Rafael Peña Gholam, who is based in Caracas, Venezuela has written an opinion piece in which he asks the public to not overstate the power of Bitcoin in Venezuela. He also asks crypto campaigns to stop using the countries crisis to attract attention. Most people assume fiat-collateralized stablecoins are safe from regulatory scrutiny, but the SEC & CFTC may not agree. Our favorite ELI5 defense attorney Jake Chervinsky wrote about how stablecoins might be viewed as regulated securities or swaps… and what that could mean for the industry. Did Starbucks receive equity in Bakkt? 📌 Crypto Goes Hollywood, Ripple Bets on Gaming, and Altcoin Season is Here?